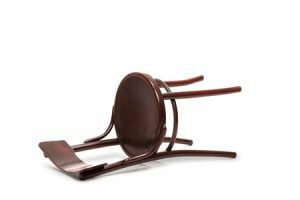 How Much Compensation For A Injury Caused By A Broken Chair Accident? A chair seems harmless on the surface, but accidents can easily arise if the chair you sit on is broken. This not only relates to chairs that break and leave you injured on the floor, but it also relates to chairs that are not set-up properly and cause lasting damage that occurs over time. No matter what type of chair accident you are involved in, if it was not your fault, you will be able to claim compensation. We have many years of experience in broken chair accident claims, and can help you to get the maximum payout you are entitled to. For more information, read on. A guide to accident claims for broken chair injuries. What is a broken chair injury? What to do if you are involved in an accident causing injury due to a broken chair. How to begin a broken chair claim. Broken chair accident at work claims. My child fell of a broken chair in school can I claim? Can I claim compensation if I was injured from a broken chair on public transport? I fell off a broken chair in a restaurant/café can I claim compensation? Have you been injured due to a broken chair in a public place? What can be claimed for after an accident causing injury due to a broken chair? The most common types of broken chair injuries. How much compensation will I get after a broken chair injury? No Win No Fee broken chair claims. Why choose us as your claims service for a broken chair claim? 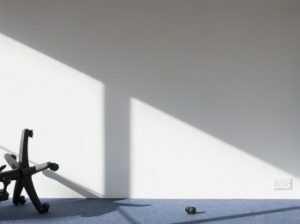 Have you been injured due to a broken office chair? Maybe you fell due to a faulty chair at a nearby restaurant? Chair accidents can occur in many different ways. Some chairs simply haven’t been maintained properly and are past their use-by-date, so to speak! There are then those that have not been set-up properly, resulting in lasting back damage. All injuries are serious, and if you have been involved in a broken chair accident that was not your fault, you deserve to be compensated. This is something we can assist with. We have launched many broken chair injury claims over the years, helping personal injury victims to get the compensation they deserve. But, before you give our friendly and professional team a call, read on for more information. In this guide, you will find out everything you need to know about broken chair accident claims. This includes details on accident at work claims, payout amounts, eligibility, collecting evidence, and much more. A broken chair injury is any type of injury that has been sustained due to a faulty chair. This includes falling off chair injuries, as well as injuries that have occurred over-time due to continual use of a broken chair. So long as the injury you have sustained was not your fault, you will be able to make a claim. No matter whether your chair broke in a restaurant or you have sustained a back injury due to sitting on a faulty chair at work, you need to prioritise your health. The first thing you should always do is see a medical professional, irrespective of how minor your injuries may seem at first. Some injuries can seem minor at first, but they can often get worse over time if they are not treated properly. Plus, not only is seeing a doctor vital for your health, but it can help to strengthen your claim too. This is because the medical professional you visit will put together a report, which will be used to determine how much compensation you will receive. Aside from this, it is a good idea to make a note of everything that occurred so that you do not forget anything important later down the line. You should also take photographs of the chair, as well as your injuries if they are visible. Getting the contact information of the perpetrator as well as any witnesses is advised. Witness statements can really help to strengthen broken chair injury claims, ensuring you get the maximum compensation payout. If you want to make a claim for a broken chair injury, all you need to do is give us a call and we will be with you every step of the way. We make the process really easy. We will provide you with a free consultancy session, whereby we will answer any queries you may have. We will also ask you a number of questions so that we can understand what happened and advise you in the best possible manner. When using our service, there are no barriers in the way, as we operate on a No Win No Fee basis. This is something you can find out more about below. Plus, if you need a local medical, we can arrange this for you free of charge. provide a safe and healthy work environment. If they fail to do so, they are to blame. Perhaps they have failed to carry out a risk assessment? Maybe they have allowed you to use chairs when they knew they were broken or not set up properly? Or, they could have prevented you from taking breaks? No matter what applies, if your employer was to blame, it is important to make a claim for the compensation you deserve. A lot of people worry about making claims against their employer, as they fear they could end up losing their job. This is something you do not need to worry about. Your employer is legally required to have insurance in place to cover such incidents. Not only this, but if they were to fire you, they would only land themselves in deeper water, as you would then have ground for unfair dismissal. My child fell off a broken chair in school and broke their arm can I sue? You can indeed. If someone else broke the chair, you can make a claim. So long as your child did not cause the accident, you can launch a claim on their behalf. Your child can also make a compensation claim when they turn 18-years-old if you do not do so. They will have three years to launch their case. However, it is often better for you to do so on their behalf, as the sooner you claim, the easier it will be. If you have suffered any type of accident while on public transport, and it was not your fault, you will be able to claim. This includes any type of injury you have sustained because of a broken chair, be it on a bus, train, or any other mode of transport. All you need to do is give us a call and we will help you to get started. If you have been injured due to a broken chair in a café or restaurant, you can make a claim for compensation. There are many reasons why a restaurant owner or café owner could be to blame for the incident. For example, they may have failed to remove or repair a broken chair, or they may not have realised the chair was broken due to a lack of care on their behalf. Either way, you will be able to claim. Customers are supposed to feel safe and enjoy their time at any type of eatery. It is the business owner’s duty to ensure that this is the case. If they have failed in their duty to provide a safe and healthy environment, it is only right that you are compensated as a consequence. If you have been injured as a consequence of a broken chair in a public place, it is important to launch a personal injury claim so that you can get the compensation you deserve. In such cases, you may be claiming against any number of people or organisations; it could be a local business or your local council, for example. We have experience in all types of claims, so you have nothing to worry about when you get in contact with us. You also might of been injured from a broken chain in a pub or bar/club. General damages – This relates to the payout you will receive for the pain and suffering you have experienced. Loss of earnings – You can receive compensation for loss of expected earnings as well. Care claim – If you have required assistance around the house while you recover, they will be able to file a care claim. Broken limbs – Severe falls from broken chairs can result in broken legs or arms. Back injuries – Back injuries tend to be sustained by employees that sit on broken chairs. This can result in injuries to the spinal cord, which causes chronic back pain. Head injuries – If you have landed on the ground with your head after falling due to a broken chair, the impact can be severe. If you have sustained any of the injuries mentioned above, or any other type of broken chair injury, all you need to do is give us a call and we will help you to get the compensation you deserve. One question we often get asked is the following: how much broken chair compensation will I receive? It is understandable that you would want to know the answer to this when weighing up the prospect of a broken chair lawsuit. Unfortunately, it is impossible to provide you with a definitive figure regarding how much compensation you will receive. This is because every case is different and there are many variables involved. You may have come across a slip and fall compensation calculator or any other type of compensation calculator online, but such tools only provide you with an estimate. There is no way to get a precise figure. However, what we can do is provide you with the typical payout amounts for common injuries sustained due to broken chairs. You will find this information in the table below. If you cannot find the injury you are suffering from, there is no need to panic. All you need to do is give us a call and we will be more than happy to explain further. Loss of anticipated earnings £10,000 - £400,000 This payout is calculated based on both future prospects, as well as current pay grade. There is the potential for a greater payout than the maximum in some cases. Loss of benefits £5,000 - £500,000 This is calculated based on actual lost income. There is the potential for a greater payout than the maximum in some cases. Pain and suffering £1,000 - £200,000 This is calculated based on the level of pain and suffering the claimant has experienced. Mental anguish £3,550 This payout covers fear of death and expectation of end of life. Minor head or brain injury £1,675 - £9,700 The level of award is based on a number of factors, including the absence of presence of headaches, the extent of continuing symptoms, the period taken to recover from any symptoms, and the severity of the initial injury. Severe back injuries £29,475 - £122,350 At the lower end of the spectrum are cases of disc fractures or disc lesions, as well as soft tissue injuries, which lead to chronic treatment. Despite treatment, there will be continual pain, as well as other symptoms. This can include arthritis risk, un-employability, alcoholism, personality change, depression, impaired sexual function, impaired agility, and continual discomfort and pain. At the highest end of the scale, are the most severe injuries, which involve damage to nerve roots and the spinal cord. The consequences will be extremely serious. Moderate back injuries £9,500 - £29,475 At the higher end of the bracket, the payout is for cases whereby there is residual disability, yet it is not as severe as above. At the lower end of the payout bracket, most injuries involve ligament or muscle disturbance, which leads to soft tissue injuries and backache of a prolonged nature. Minor back injuries A few hundred pounds to £9,500 The smallest payout is for injuries whereby a full recovery is made within a few months. Aside from this, the amount of compensation paid depends on a number of different factors. This includes: the need to take medication to control discomfort and pain, the extent of any treatment needed, the impact on the claimants ability to work, the impact on their ability to function in everyday life, the presence of additional symptoms, the degree of pain experienced, and the severity of the original injury. Less serious leg injuries Up to £21,100 This category ranges from simple fibula and tibia fractures to fractures whereby an incomplete recovery is made. Less severe arm injuries £14,600 - £29,800 This relates to injuries whereby there are significant disabilities, of which a substantial degree of recovery is expected or has taken place. One of the main features of our service is the fact that all of the broken chair injury claims we launch are done so on a No Win No Fee basis. What does this mean? In basic terms, you are only going to need to pay legal fees if your case is successful. If, for some reason, we do not manage to secure compensation for you, you won’t need to pay us a penny. What this means is that anyone can make a personal injury claim, irrespective of his or her financial situation. This is something we are very passionate about, as we believe all people should be compensated for the hardship that they have suffered – it should not be something that is only open to those with money in the bank. By opting for the service we provide, you can be sure that you are never going to find yourself in the dreaded position whereby you have a huge legal bill to fund yet you do not have any compensation to cover it. Our No Win No Fee service, therefore, gives you the peace of mind that we will only take on your case if we believe it has a genuine chance of success. We won’t waste your time. On the other hand, if you were to opt for a solicitor that charges by the hour, there is always the risk that they are merely taking on your case in order to take your money. After all, win or lose, a solicitor that charges per hour is going to receive the same payday regardless. There may be many personal injury law firms in the UK, but not all of them provide a quality and caring service. We do, though! We have many years of experience in the industry, and so you can be certain that you are in safe hands when you choose us. It is always our aim to secure the maximum amount of compensation for our clients, and we do this in the most efficient manner. We recognise that you are going through an incredibly difficult time at the moment, and this is something we fully respect. We don’t want to make this period in your life any worse – we want to make it better. This is why we will quickly and effectively go about our business, using our many years of expertise to secure compensation for you. Nevertheless, if you do have any queries or need to talk about your claim, we are only ever a phone call away. If you are ready to make a claim, all you need to do is give us a call on 0800 073 8804. We have many years of experience when it comes to broken chair accident claims, and we can help you to get the maximum amount of compensation you are entitled to. Not only can we get your claim up and running, but we will happily answer any queries you have regarding making a claim for the broken chair accident you were involved in. So, what are you waiting for? Call us today on 0800 073 8804. This link takes you to the Government’s Health and Safety Executive website, which provides advice on seating at work. This includes information on everything from selecting chair models to conducting risk assessments. Accident In A Restaurant Can I Claim Compensation? If you have had a accident in a restaurant such as a broken chair accident in a restaurant contact us today to find out if you can make a no win no fee claim.